"Is not this the fast that I choose: to loose the bonds of injustice, to undo the thongs of the yoke, to let the oppressed go free and break every yoke?" Jesus spent some time fasting during his ministry on earth. and He encouraged his disciples to do the same. Lent is an opportunity for us to follow in his footsteps as we live out our faith journeys. Fasting and prayer is a spiritual discipline we need to learn to draw ourselves closer in fellowship to God and to do His will in the world. Fasting and prayer also helps strengthen our faith and brings the church together as we share this experience as a community of faith. This year the Lent period of fasting and prayer begins on the 6th of March (Ash Wednesday) and ends on 14th April 2019 (Palm Sunday), and you may want to choose some times when you fast and pray during this Lenten period - perhaps skipping one meal or a half day or a full 12 hours. 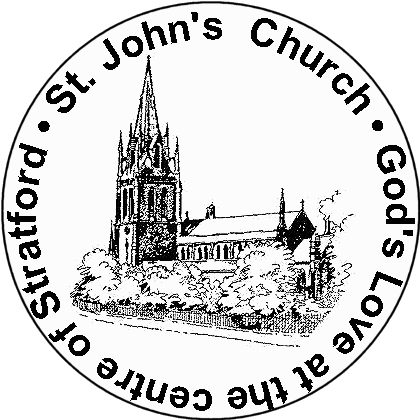 At St John's there will be extra times of prayer every Friday between 8pm and 9:30pm (Volunteers will be needed to assist in welcoming). All are welcome join in. Please contact Rev Robert Otule for further information. We have a great deal to learn from the example of the early Christians in Action, as shown in the book of Acts. The book of Acts is actually volume 2 of Luke's gospel. In the gospel Luke tells us about Jesus teaching and ministry; in Acts he tells us how the Good News about Jesus spread from Jerusalem to Rome - the centre of the ancient world. In Acts we see the beginning of the church, inspired and led by God's Spirit, and part of God's plan of salvation. We see a growing church, a vigorous and vital church, and a church which deals with problems and questions. April 07 - CHRISTIANS IN ACTION - ROME AT LAST! Worship, Prayer, Praise, Bible Teaching, Cake, Hot Chocolate, New Friends. The Sermon on the Mount gives us a radical idea of the way Christians should live. It is radical because it challenges all our assumptions and calls us to think afresh; John Stott called it "A Christian Counter-Culture", because it seems to turn accepted norms upside down. This is deliberate; Jesus gave this teaching, towards the beginning of his ministry, to set out the standards of the Kingdom he came to bring. Scholars are divided over whether or not he expected us to keep to these standards, or whether they are set out to remind us how much we need the grace of Jesus in our lives. Whatever the answer, the Sermon on the Mount is a good preparation for Holy Week and Easter, because it helps us realise that Jesus does live up to the challenges he presents. MARCH 10 - RADICAL LIVING - Will the meek really inherit the earth? MARCH 17 - RADICAL LIVING - Can I look if I don't touch? MARCH 24 - RADICAL LIVING - Why do I have to love my enemies? MARCH 31 - RADICAL LIVING - Why does everything have to be a secret? APRIL 07 - RADICAL LIVING - Why can't I serve God and money? Lent is traditionally a time for giving up things that are offensive to God - but the other side of this is to take up things that are pleasing to God. This latter theme of picking up new things for God would be an interesting theme to tackle. March 19 - Take up your Cross: God's heartbeat - Compassion for the poor. handouts, and resources for further study. We use the Lion Hand book to the Bible (about £17) as a basic course book. There is no written work, and the course is offered free of charge. By the end of the 2019, those who do the whole course should have an acquaintance with every book of the Bible, and be more confident in applying the bible to their lives. It would be great if people did the whole course, but, if that is not possible, you could join in for the bits that interest you, or the weeks you are able to do. Corinth was a seaport, a cosmopolitan trading city, and a centre for depraved and disgusting idol worship. Being a Christian in Corinth was a challenge, and the letters to the Corinthians have a great deal to teach us today. There were, however, problems in Corinth. The Church existed amongst incredible immorality and evil, and Christians found it hard to completely let go of the ways of the world. When Paul heard about the problems he immediately wrote to the Church. The key verse, underlying our understanding of the letters is 1 Corinthians 1:2, "....to all who are called to be God's holy people, who belong to him in union with Christ Jesus...."